Some young children may show delays in a range of developmental skills that include movement (motor), hearing and speaking (communication), social and emotional development, and the development of thinking and problem solving skills (Cognitive). 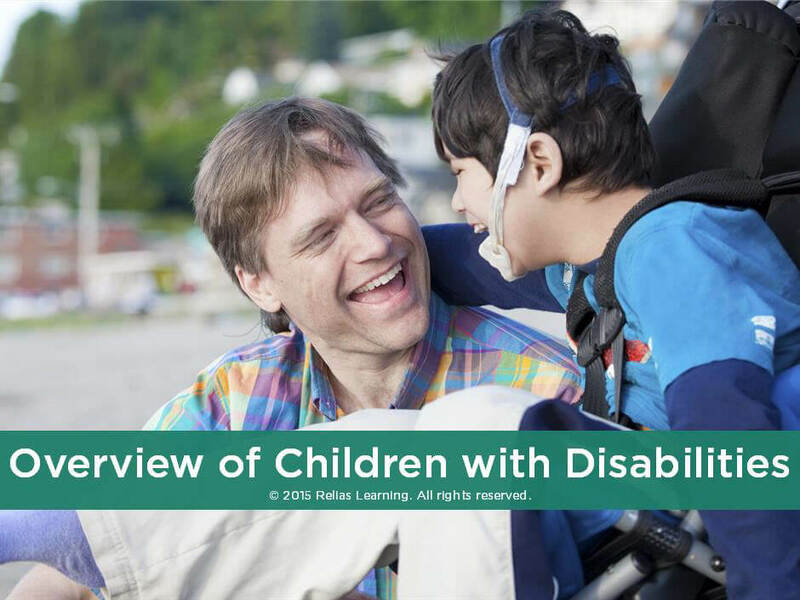 These difficulties may result in developmental delays or disabilities, which can affect learning, communication, and functioning in the community. These difficulties can range from mild to severe. Some developmental disabilities may extend into adulthood. The onset of some developmental disabilities can be diagnosed at birth such as Down syndrome. Some disorders, however, may only become apparent as young children miss important developmental milestones. Gaining insight into typical development of motor and social-emotional skills as well as communication skills in young children is important. This is a first step to understanding what to expect in the typical sequence of development. Keep in mind that there can be a wide range of differences when it comes to children reaching developmental milestones. Young children diagnosed with a developmental disability may progress toward these milestones in ways different from their typical peers. Through this course, you will learn to identify atypical development in young children. Learn how to recognize common developmental disabilities that require comprehensive medical and developmental assessments in order to accurately identify them. In addition, you will learn to identify and describe common disabilities that may result from environmental factors. Given this knowledge you will be better equipped to meet the individual needs of the young children with whom you work. Identify common developmental delays in young children. Describe individual characteristics of specific developmental disabilities.